Why should I participate in vocational rehabilitation? Why was I referred to IVS for voc rehab? Does IVS know my limitations? What happens if I don't get a job? 2. you have received a permanent partial impairment (PPI) award. Medical restrictions based upon your allowed conditions are required from your physician of record. Next, the MCO decides if your case is "feasible" — in other words, the MCO decides if there is a good chance that you would benefit from the services you would be taking. Q: Why was I referred to IVS for voc rehab? 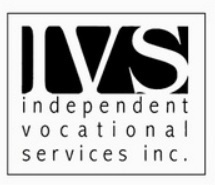 A: IVS is an independent provider of voc-rehab services. Our business is built around referrals from outside the system, such as those from attorneys or physicians. You were referred to IVS by your attorney or medical provider because they believe, as we do, that IVS will work harder to ensure your goals are met. Typically, when the MCO (or your employer) identifies you to be a good candidate for voc rehab, they will refer you to their own voc-rehab company. This means that the voc-rehab specialist assigned to handle your rehabilitation ultimately works for the MCO or your employer, and not for you. This creates a clear conflict of interest, where the voc-rehab provider may be trying to satisfy the MCO or employer as much or more as you — the one who needs help! As an independent provider of services, IVS does not take referrals from MCOs. We stay focused on your goals because we believe you need an experienced voice in the voc-rehab process — and by choosing IVS to be your partner in this program, your attorney or doctor does, too. Q: Where do I have to go? A: Vocational rehabilitation is a program, not a school. A case manager will work with you to determine what services should be included in your individualized program. The location of these services may vary. You may meet your case manager at a public place like a library. Medical conditioning may take place at your physician's office or a physical-rehabilitation facility. Vocational services may be in a specialized facility or school environment. Ultimately, your job search will be within the community, but that does not mean that your next job will be right around the corner! Be ready to travel a little, and you will be successful! Q: Will I receive training? A: On rare occasions, some injured workers do receive training. Most approved training plans are joint programs offered through the Bureau of Vocational Rehabilitation. If you are interested in training, contact your local BVR office and discuss these options with your case manager. The experienced case managers at IVS understand the rules and guidelines of the BVR and BWC. We can give you a good idea of the probability of training for your case. A: Vocational rehabilitation simulates a work environment and the BWC will pay you a living maintenance (LM) for participating. However, it will take up to one month to get your voc-rehab plan organized and approved. The BWC pays LM after your plan begins, which means it may take six weeks or more for your first check to arrive or for your TT to switch to LM. * The LM rate is equal to or greater than your temporary total disability rate. As with TT, you will be paid every two weeks. *Please note that this time frame is only a guideline, and may change with your specific situation. Q: Does IVS know my limitations? A: IVS will either have your medical restrictions on file or will get them from your physician of record. Your case manager will create your voc-rehab plan using those restrictions to identify job goals for you. Q: What is my commitment level? A: Since the BWC (or your self-insured employer) is paying you to participate, you are expected to sign an agreement indicating your willingness and intention to participate in the voc-rehab plan. Eventually, you will be expected to complete a job search — which means you must follow up on job leads, make face-to-face contacts, and attend all interviews. Although this is a voluntary program, failing to participate with 100% compliance may harm your case and future voc-rehab options. Please consult your case manager for help if you are unable to participate in any services. Q: What happens if I don't get a job? A: Obstacles can come up that hinder your successful return to work. Your voc-rehab case can be closed due to medical reasons. If you have completed your job search and are still not employed, there may be other sources of income available to you while you look for a job outside of voc rehab. You should speak with your attorney to learn more about the options you may have. IVS provides vocational services throughout the State of Ohio, which includes, but is not limited to Cleveland, Lorain, Painesville, Ashtabula, Akron, Canton, Youngstown, Mansfield, Lima, Columbus, Dayton, Zanesville, Hamilton and Cincinnati.